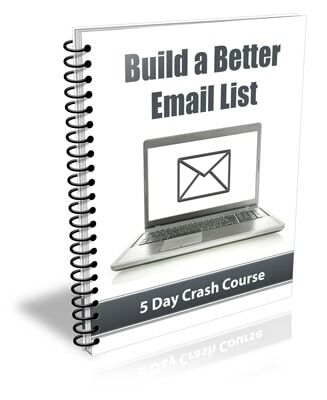 Inside This Easy To Follow 5 Day Crash Course You’ll How To Build A Better Email List! What’s Included in the…. 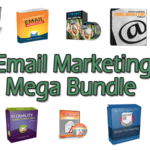 “Build a Better Email List” Crash Course Package? Welcome to the first lesson of the Build a Better Email List Crash Course. Over the next few days you will receive several lessons that will help you learn how to build an email list that is more engaged, active and profitable for your business. In this first lesson we are going to talk a little bit about the value of your email list. 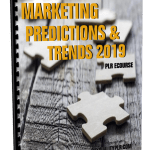 Yes, the money is in the list, as everyone says when they are trying to get you to buy their latest course or fancy piece of software, but having a big list doesn’t necessarily mean that you will make a lot of money. No matter how many people subscribe to your list, you won’t see real results until they are actively engaging with you and responding to the offers you send. So the real value isn’t in having a huge list, it’s having one that is highly responsive and engaged. 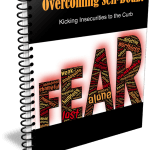 In fact you can make more money from a small list of happy subscribers than you can from a massive one full of people who never open your emails, click on your offers or remember who you are. It’s not always easy to build a profitable list, but you will see much better results if you focus on the quality of your list rather than the quantity. One of the best ways to do that is to work on building trust with your subscribers right away. This is because people will only buy from you if they feel they can trust you and they won’t listen to anything you say if they don’t. Have you ever wondered why so many emails get deleted as spam? That’s because people don’t trust the emails, and more importantly, they don’t trust the sender. It’s very important to build a relationship with your subscribers. You have to form a connection with them, and more importantly, they have to see you as an expert in your field. Doing this isn’t as difficult as you may think. You simply have to send them emails with information that they will find valuable and appreciate. You also want to make sure you’re giving them exactly what you promised when they subscribed to your list. Did you offer a free report, a coupon or a link to more information? Then provide that to them immediately after they hit subscribe. 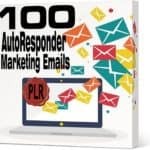 This can be done hands free by using an autoresponder system like Mailchimp, Aweber or Getresponse to send out a welcome message with the promised information. That first contact you send should also include a few details about what your business has to offer them and why it’s important for them to open your emails. Welcome, I’m so excited that you decided to join. I have included instructions for accessing (what you promised) below, but first I just wanted to introduce myself and let you know what you can expect from the emails I send. Then include a short bio along with directions for accessing what they signed up for. It never hurts to include a little extra something to make them feel special and then close with a reminder to look for your next email soon. As you close let them know there will be something exciting in there for them, so that they will be more inclined to keep an eye out and open it when it hits their inbox. Of course this is only the beginning and there is a little more to it than that, but it’s a great place to start. As you add subscribers to your list keep your focus on providing value and pay close attention to the voice of your audience. Remember these are real people and they look to you as a reliable source of information, if you can be that for them they will gladly open, click and spend. That’s it for today’s lesson. We have a lot to go over in the next few days, so make sure you look for your next lesson soon. We will be talking more about building trust with your subscribers, so that they will be receptive to your offers. So what are you waiting for? Grab the “Build a Better Email List” crash course package complete with private label, resale rights today and start profiting from it right away! 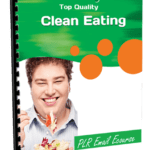 Why Purchase This Build a Better Email List PLR Newsletter eCourse From BuyQualityPLR.com? 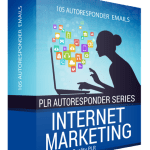 We will only be selling 50 copies of this Build a Better Email List niche newsletter ecourse, so don’t waste any time and grab your PLR license while it’s still available for sale.